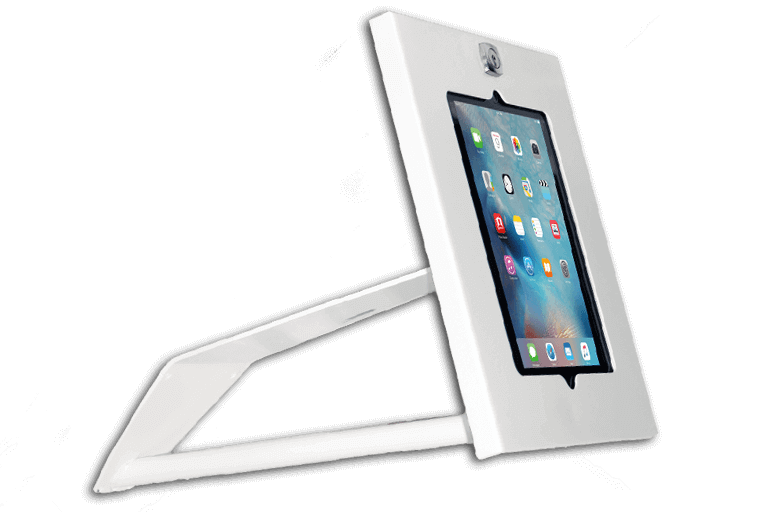 Do you want to present your website at a trade fair or are you planning to give a presentation for which you need a tablet stand? 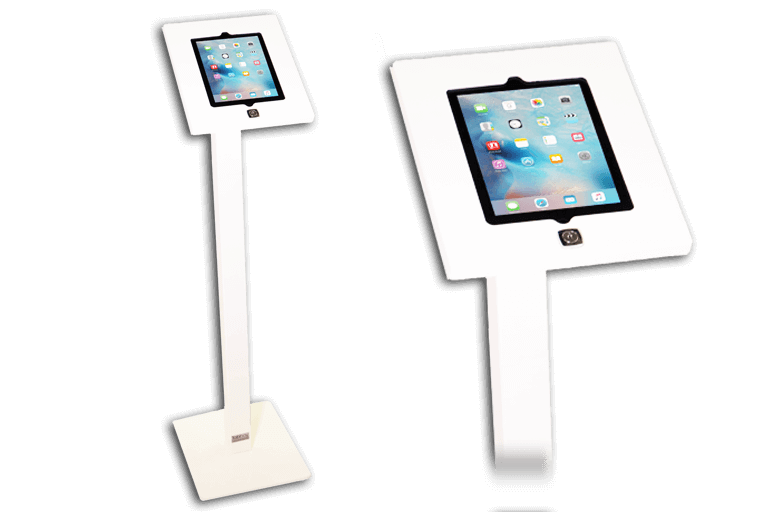 At Flex IT Rent you can rent tablet stands for every kind of event. 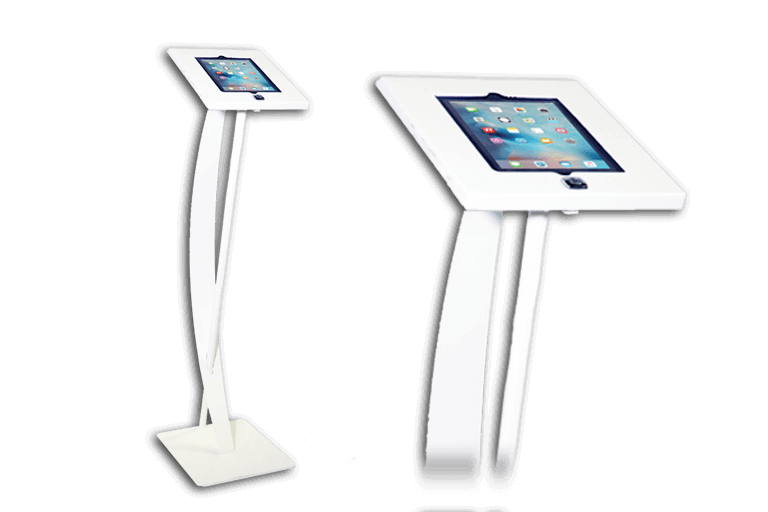 Check our assortment and choose the stand that suits your purpose. Do you have an event and you want your visitors to register? 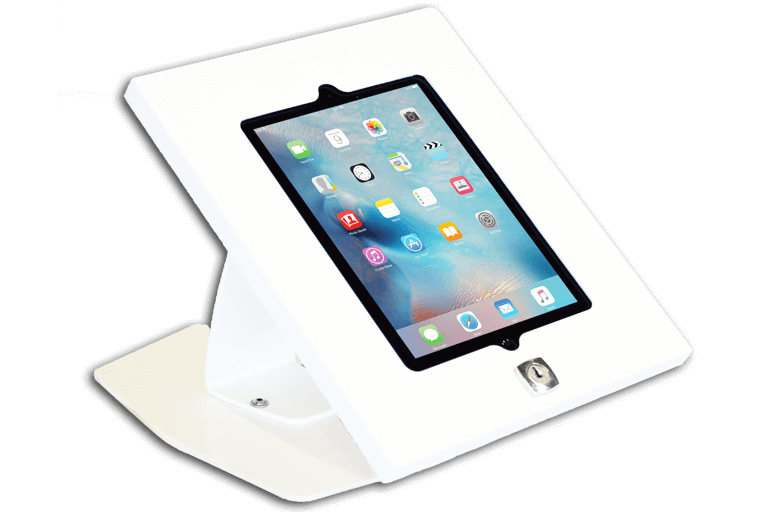 Then you can use one of our tablet stands. 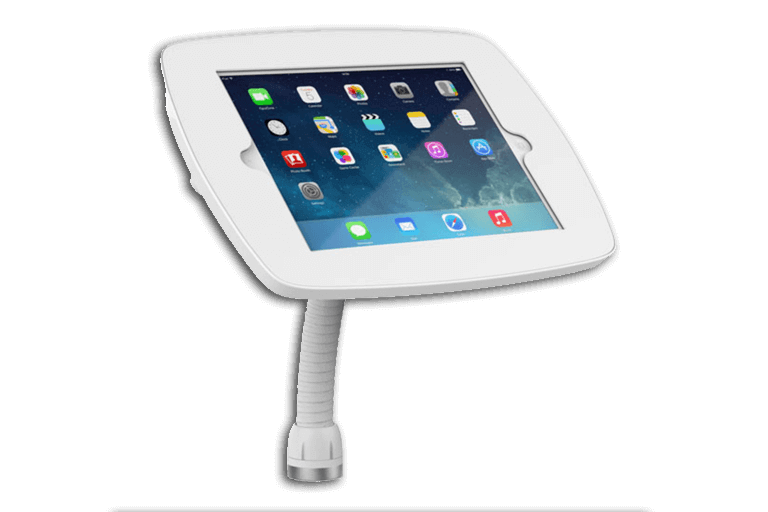 tablets can be fitted into the tablet stand and can just as easily be removed. The charging cables are also easy to connect. Do you want to prevent your visitors from using the home button? Then we can disable this button for your visitors so they can not switch between the apps. 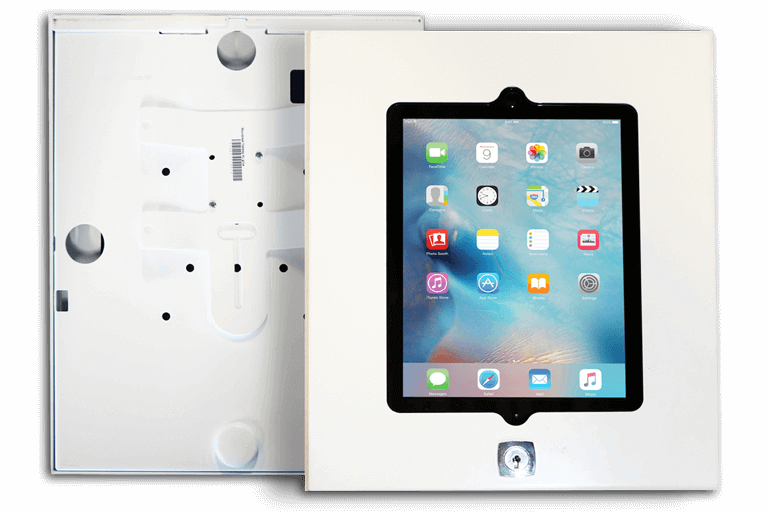 You can also lock the case, protecting the tablet from theft. The tablets can either be used horizontally or vertically. Would you like to receive personal advice? Then please give us a call or send an email.